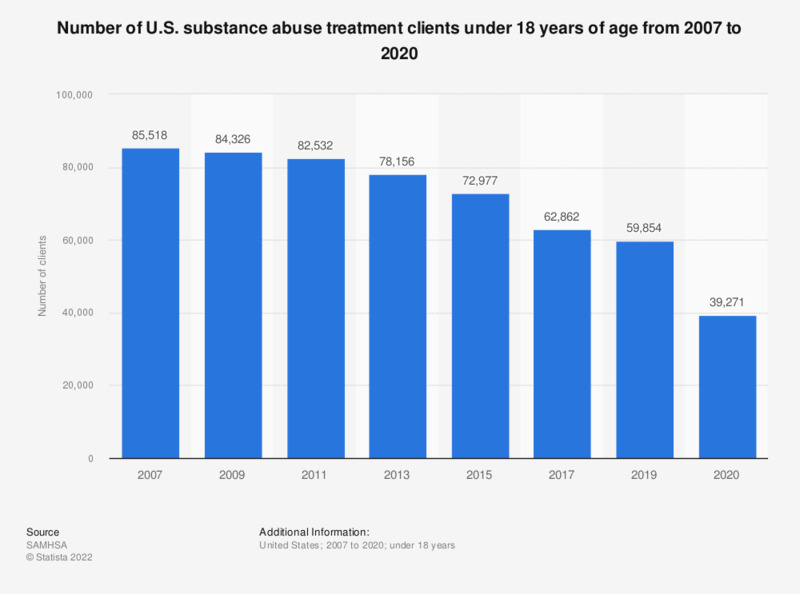 This statistic displays the number of substance abuse treatment clients under the age of 18 in the United States from 2007 to 2017. In 2017, there were 62,862 non-adult clients in treatment from substance abuse. Types of care received include outpatient, residential (non-hospital) and hospital inpatient. Clients under age 18 in facilities offering specifically tailored programs or groups for adolescents. What are the biggest challenges you face when working with clients? Do you intend to become a private bank customer in the next 12 months?